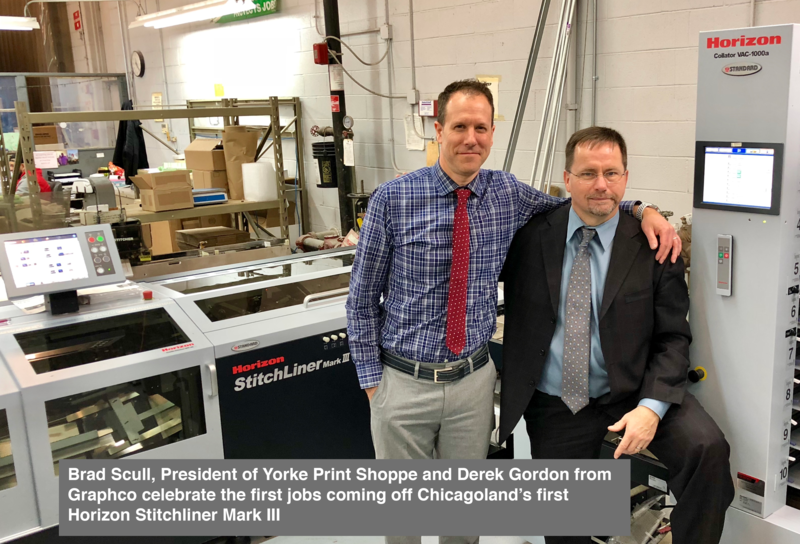 Graphco has recently been appointed an expanded territory for Standard Horizon finishing equipment in Illinois, Missouri and Kansas. Graphco has a long history with Standard and Horizon in Ohio, Kentucky, Western Pennsylvania and Indiana, dating to 1983, and has consistently been one of Standard's strong service and sales dealerships. Graphco is headquartered in Cleveland, Ohio, and opened their Schaumburg, Ill., branch office in 2014 to better reach customers in the Midwest, with primary focus on the popular RMGT offset presses. Derek Gordon is available for Standard Horizon finishing equipment sales consultations immediately.